Birds’ nests are considered sacred in many cultures. Among some in the African diaspora in north America, they generally represent family, prosperity, and the Orishas watching us or watching over us. It is considered very bad luck to disturb a bird’s nest, so if a particular bird’s eggs are needed for a working, or one has to cut down a tree where birds are living, offerings are given to the Mama and Papa Bird of that species by the observant. Things are done to compensate somewhat for the loss. It is better, if one must gather eggs or bird parts, to take what has fallen on the ground or been discarded, or hunted mindfully. You really don’t want to be on the bad side of birds. When you find a fallen nest, you can use this for protection and prosperity. One way is to recycle it back to Nature by decorating it with non toxic, bird friendly ribbon, string, or tinsel, and secure it to a tree. Other birds may use it or its materials to make a new nest. You can also decorate it and keep it in your home. If you keep a fallen, discarded bird’s nest, you should thank Mama and Papa bird. Give offerings to Eshu and then to the birds. You can put out or refill a bird feeder for this. You can also build your own bird’s nest for magical use, but it’s not quite the same as one that is found outside. On a round piece of white or yellow cloth that will fit over the bottom of the nest, make the marks of Eshu and then Oshun. You can also draw other money and prosperity and good luck symbols. Make sure to be doing this mindfully, and perhaps chanting as you go. Smoke the bird’s nest in the smoke of Eshu incense, and then spray it with a natural anti-mites spray. I use water with some tea tree, rosemary, peppermint, eucalyptus, citronella, and bergamot. Let it dry, and then glue it to your cloth. Then let it dry again. Decorate it with a large doily, or with Oshun colors and items, or both. You can use ribbons, golden wire, beads, and other things to make it pretty. Colorful feathers are also nice decorations. Put five brass coins or five cowrie shells into the nest. Then put in items to represent the people you want to give prosperity to. Then smoke it again in Eshu incense, and Oshun incense. Keep this on your altar or in a place in your home where a bird’s nest would make good decoration. 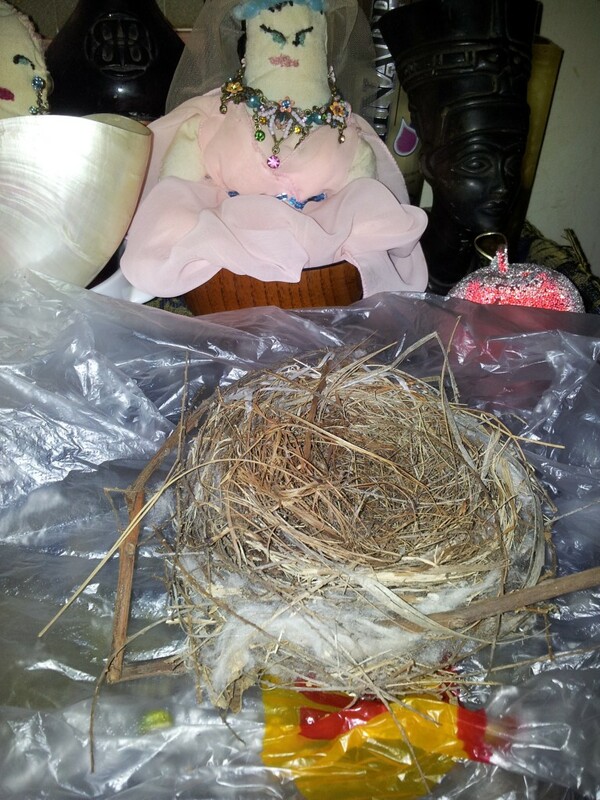 bird nest, bird's nest, birds, featured, magical use of bird's nest, magical uses, oshun, prosperity, prosperity nest, prosperity spells. Bookmark. I love this! Just found a birds nest today and this article was the only thing I could find on the internet about this. Thank you! Thankyou for the information, I had a feeling this meant prosperity and then the day after finding the nest a beautiful large gold leaf landed on our deck, magical! 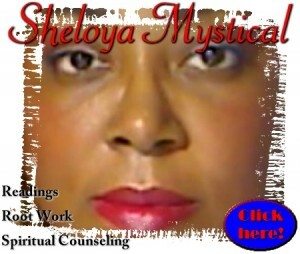 Blessings to you.